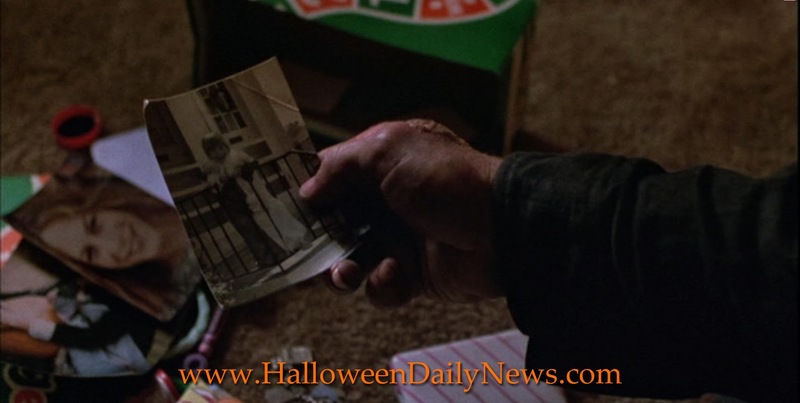 Though only on screen a few seconds, Erik Preston’s brief appearance in Halloween 4 ranks him as one of a small group of people who have played Halloween’s masked killer, and a member of an even more exclusive group of just five actors who have portrayed a young version of the horror icon. As the clown-costumed young Michael Myers, Preston gives little Jamie Lloyd, played by Danielle Harris, an up close glimpse at her destiny and provides the most poignant link back to John Carpenter’s original film. This year, we’re celebrating the 35th anniversary of Carpenter’s 1978 masterpiece, as well as the 25th anniversary of Halloween 4, and as part of our ongoing retrospective series of interviews, we recently caught up with Erik Preston to talk about The Return of Michael Myers! “I had been acting sense I was about four years old,” Erik remembers. “At the time I had been doing commercials in Salt Lake City. I think I’d done two, maybe three commercials. “I went in for the casting audition, and I initially read for the kid in the Frankenstein mask at the school when they’re teasing Jamie. I was eight years old. Erik told us he was vaguely familiar with character of Michael Myers at age 8, but was a much bigger fan of another horror icon at that time. “I grew up on horror movies,” he said. “My parents are very cool like that. So I knew who Freddy was. At the time he was my favorite of them all. I think it’s because he talked. “I knew who Michael Myers was, but I don’t recall knowing his name. I was very familiar with Halloween II. Halloween, I want to say I hadn’t seen yet, or if I had, I don’t remember it. But I really remembered Halloween II with the hospital. Erik said he worked on the set of Halloween 4 for three days, recalling it being a massive undertaking, especially compared to the small local TV spots that made up his acting resume up until then. “It was a just a giant production,” he said. “It was seeing them create an entire different city, watching them turn springtime into October by having these big piles of leaves and these giant industrial fans that they’d put the leaves in front of and watch them blow all over the place. Then between takes, they’d have to send somebody out to go and collect the leaves just to do it all over again. That’s obviously something you don’t experience doing a commercial about birthday cake at the local grocery store. “The first day on set, we shot the exterior of where there’s a school bus going down the street and it says that it’s Halloween day. It shows some kids running down the street after the bus. I was in that scene. We shot that in the first half of the morning. We were out there for a couple hours, just chasing after this bus. “Then they took me and drove me down to the school that was couple blocks down the street and put me in the (clown) costume and took pictures of me. Those pictures are in the shoebox that Michael’s going through, where there’s Jamie Lee Curtis. He pulls out a picture of himself in the clown outfit and that’s me. “On the second day, the first half of the day we shot a deleted scene that I’m actually not in, I just had to be there for it, with Danielle (Harris) and Ellie (Cornell) eating some ice cream. I don’t recall what the exact dialogue was about, but then you see Michael up in the windows of one of the houses looking down at them. “The second half of that day we shot the exterior of Vincent’s (Drug Store), so when you see Rachel and the kids pull up in the car and you see these kids walking by Vincent’s, that was the exterior location of that shot and I’m actually one of those kids walking up the street. Erik says it is through the power of the internet that the horror community has found each other, and in turn found and embraced him, in the last decade. “Growing up, I didn’t really think about it,” he said of his place in horror history. “I was born in 1979, and the internet wasn’t really big until 2002ish, so growing up I didn’t ever really meet fans. It really wasn’t until people starting finding me on the internet, people I’ve never met. That’s the only thing that’s changed as far as the perception of it. Up until that point, it was just something I did as a kid. Erik’s role in H4 unfortunately goes uncredited in the film, so not many people knew who he was for about 20 years after, but that soon changed thanks in part to the internet. “Up until 2007, I didn’t have an IMDb page,” he said. “I wasn’t in the credits in the end, so nobody knew who I was. People weren’t talking to me, so I don’t mind when people contact me now. I’ve always embraced it. I’m like ‘Yeah, let’s talk’. I welcome it. “I’ve always been a Halloween fan. When I was kid, I liked Halloween II more, and when I got older I liked Halloween more. I always looked at it as ‘Yeah it’s cool I got a part in that’, but again I was only in it for three seconds, so I never looked at it as ‘I got to play this iconic killer’. We’ll talk to Erik much more about Danielle Harris and get his thoughts on John Carpenter’s original Halloween in Part 2 of our exclusive interview, coming this October to HalloweenDailyNews.com! 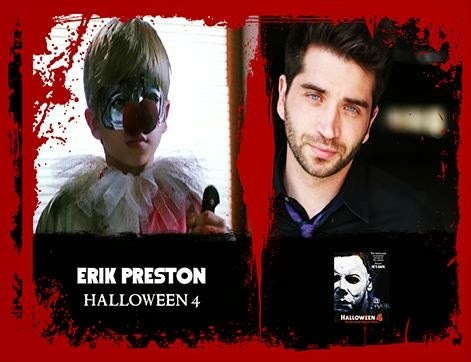 You can see Erik on screen when Halloween 4 returns to theaters starting October 24, and you can meet the actor at the upcoming 35 Years of Terror Halloween anniversary convention happening November 15-17 in Pasadena, California. ← ‘Halloween’ 35th Anniversary Re-release Trailers, Posters Revealed!